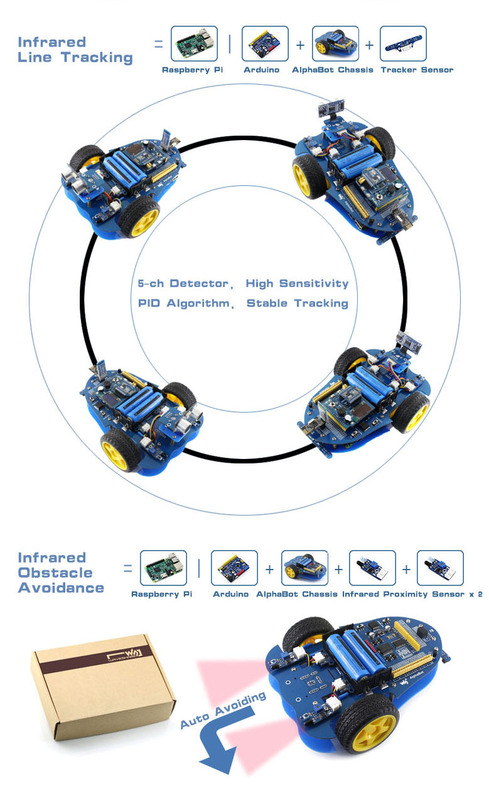 With modules in the kit, you can fast get started with robotic development like line tracking, obstacle avoidance, IR remote control, and video monitoring via network, etc. 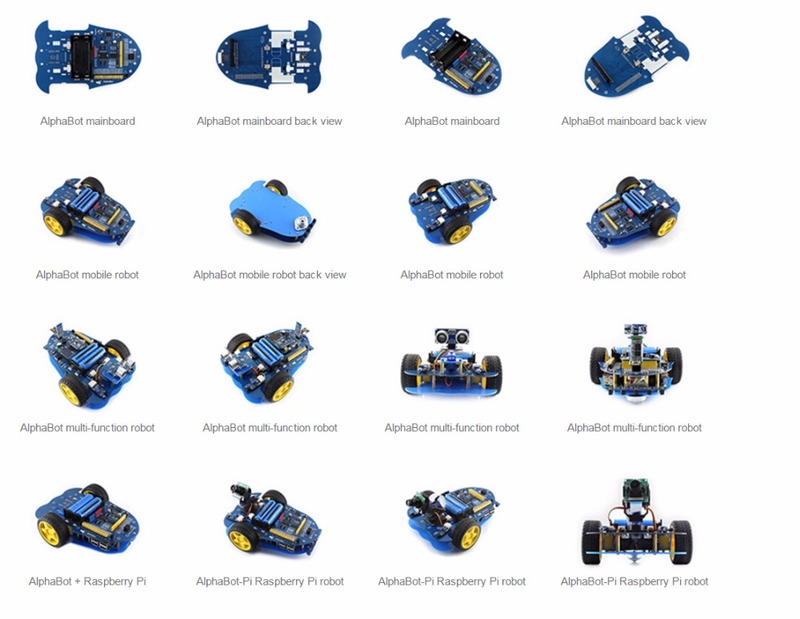 What’s more, thanks to the rich Raspberry Pi open source resources, and the modular design of AlphaBot, you’ll learn how to extend and refit, and finally build your own Raspberry Pi robot. 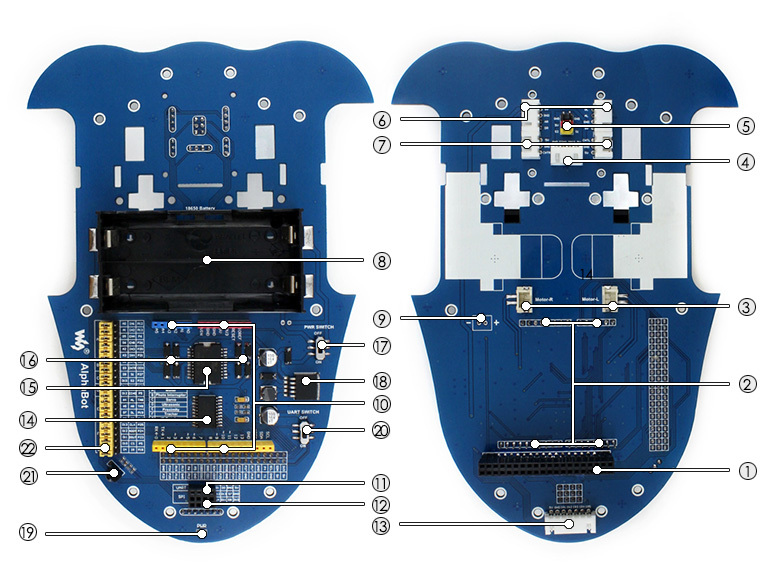 AlphaBot chassis kit mainboard, wheels, drivers, etc.